Jamieson Equipment Company offers a full line of dry bulk loading and dust control products for handling nearly any material type including fine, granular, lumpy, abrasive, corrosive, and difficult dusty or sanitary applications. We customize solutions for a wide range of applications: truck and railcar loadout, silo storage, ship and barge loading, stockpiling, bag and drum filling, and many more. Serving a broad range of industries including food, chemical, mineral, energy, etc. 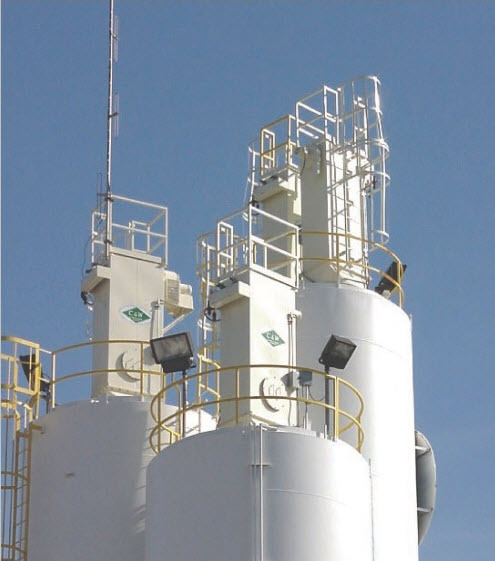 with a full complement of products like Dry Bulk Loading Systems, Controls, Valves, Automation and Accessories, Aeration Products, Aeration Conveyors (Air Slides), Bag and Drum Filling, Dust Collection, Loading Spouts, and Spout Positioners…there’s no doubt we are your Complete Solution for Dry Bulk Loading and Dust Control! If you move dry bulk materials for agriculture, food processing, the mining of coal, rocks, limestone, gypsum, and precious metals, the processing of rocks into aggregates including gravel and sand, the processing of pharmaceuticals and other chemicals, producing concrete, asphalt, brick, and mortar, processing lumber or waste, manufacturing glass, plastics, or textiles, and so on, we have the conveyors, conveyor components, and accessories for you! We offer Tubular Frame Truss Conveyors, Channel Frame Conveyors, Aerial Conveyors, Conveyors with variable lengths, Track Mounted Stackers, Transfer Conveyors, Groundline Conveyors, Radial Stackers, Telescoping Radial Stackers, Portable Conveyors, Stackable Conveyors, and Tunnel Reclaim Conveyors. And to keep your conveyors running smoothly and safely, we offer a full complement of component parts and accessories including Conveyor Belt Scales, Liner Material, Conveyor Belt Cleaners, Conveyor Belt Hoods and Covers, Conveyor Belting, Conveyor Controls, Conveyor Feed Systems, Conveyor Safety Controls, Motors, Gear Reducers, Conveyor Belt and Return Roll Guards, Hoppers and Feeders, Idlers and Return Rolls, Impact Beds, Industrial Ladders & Safety Gates, Material Flow and Speed Switches, Pulleys and Conveyor Take-ups, Temperature Sensors, Auto Greaser, Bearings, Clamp Down Rails, and Holdbacks. Click here to see our full line of conveyors and conveyor products. From Bird Baths to Runways, when it comes to mixing concrete, we’ve got you covered! 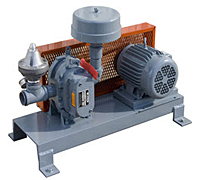 Our team of mixer experts will determine your needs and specify the right mixer for the job. We take the time required to assess your particular needs based upon the product, load size, production requirements, mix design, space available, and concrete delivery system provided. We customize the mixer solution that meets your budget as well as provide the concrete producer with a custom engineered retrofit or a new batch plant to meet their specific requirements. Among our mixer offerings are the Erie Strayer Tilt Mixer which has been used for over 100 years for Ready Mix, Highway, and Airport Paving as well as Corps of Engineers Lock and Dam work. 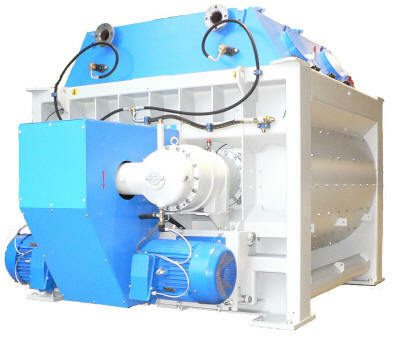 We import the SICOMA planetary and twin shaft mixers from Italy for the demanding needs seen by the precast, prestressed, block, pipe, and ornamental precast producers. Within the SICOMA family of mixers is their Lab Mixer which duplicates in the lab the mixing action of the SICOMA planetary and twin shaft mixers – an extremely valuable tool for the concrete producer. Direct from Ireland, we import the finest mobile Continuous Mixers (pug mills) from Rapid International should your mixing needs be for RCC (Roller Compacted Concrete), Soil Cement Stabilization, or Remediation. Since selling our first concrete batching plant almost 25 years ago, we have continued to expand our offerings to meet the needs of any company producing concrete. 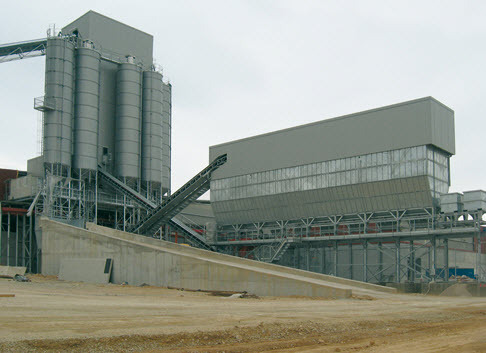 One way we meet these needs is by offering a variety of concrete batch plant designs including domestic plants and plants imported from Europe. Among these plant designs are central and transit mix concrete plants, mobile plants, horizontal and tower-type concrete plants with Italian high intensity mixers, highly mobile specialty plants for Roller Compacted Concrete, Soil Cement Stabilization and Soil Remediation, onsite plants and even the kind that you can tow behind a truck. By providing such a variety, we are able to customize the best, most complete solution for our customers. And for those customers who need to update key components of their plants, our engineered turn-key retrofit solutions are top notch! Plants can be designed so that they are hot dip galvanized, incorporate multiple mixers and storage options, or so that they optimize the use of space and other environmental and site conditions. Plants are also designed to optimize the customer’s preferences with regard to speed and quality of production, cost and ease of set-up and tear-down for mobile applications, and the level of automation required for the plant or project. Working with customers to provide a plant designed to meet their needs is only the first step in our relationship. Our 10,000 sq ft facility in Buford, Ga. is heavily stocked with spare parts inventory to allow us to service all concrete batch plants and keep them operational. 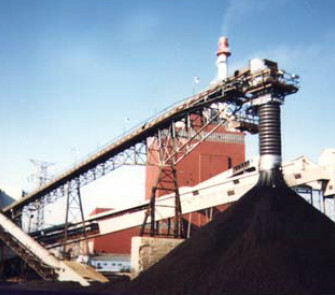 Our experienced staff is able to trouble shoot plant problems and render immediate solutions. Handle Bulk Bags aka Big Bags, Super Sacks, or Flexible Intermediate Bulk Containers (FIBCs), with our Bulk Bag Handling Equipment. Frames vary in size, material, mobility, and height adjustment and can be connected to valves, pneumatic conveying systems, feeders, etc. Move filled bags via forklift, overhead crane, or monorail/hoist. Great for a wide variety of powder and granular materials like cement, mortar, grout, stucco, pigment and for our brewery customers who handle hops and barley! 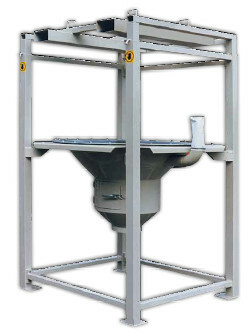 Click here to view Bulk Bag Handling Equipment on our website. Check out our full line of Bearings: Spherical and Tapered Roller Bearings, Mounted Bearing Units, Pillow Blocks, Corrosion Protection Bearing Units, Air Movement Bearing Units, Free Spinning Bearings, High Temperature Bearings designed to operate in temperatures up to 450 °F, Sealed Bearings, Heavy Duty Pillow Blocks, and Takeups. When compiling a list of all the industries we serve who use bearings in their applications, we found it much easier to make a list of who doesn’t use bearings! If you extract, process, convey, or manufacture just about anything, you need bearings! Click here to view our line of bearings. Check out our full line of Air Cylinders, Air Dryers, Eliminizers, Coalescers, Oil Extractors, Air Line Lubricant, KILFROST Anti-Freeze Air Line Lubricant, Filters, Regulators, and Lubricators, Solenoid Valves, Soft Start Valves, Quick Dump Valves, Quick Exhaust Valves, Lockout Valves, Pressure Switches, and Exhaust Mufflers. Jamieson Equipment Company works with a wide variety of customers who use compressed air: heavy shop or industrial users like automotive service and body shops, fleet maintenance, machine shops, processing, production, and manufacturing companies, wood working and cabinet shops, dry cleaners, car washes, maintenance and repair shops, farms and many more! Click here to view these products on our website. Check out our full line of Rotary Contact-Cooled Air Compressors, Rotary Screw Air Compressors, and Two-stage Electric Air Compressors ranging from 7.5 to 50 horsepower. We also offer a full line of Compressed Air Treatment products including Air Dryers, Air Line Lubricants, KILFROST Anti-freeze Air Line Lubricant, Filters, Regulators and Lubricators, Refrigerated Dryers, and Desiccant Dryers. Jamieson Equipment Company works with a wide variety of customers who use compressed air: heavy shop or industrial users like automotive service and body shops, fleet maintenance, machine shops, processing, production, and manufacturing companies, wood working and cabinet shops, dry cleaners, car washes, maintenance and repair shops, farms and many more! Check out our full line of aerators, aeration blowers, and related products for silos, bins, hoppers, chutes, rail tankers, road tankers, truck hoppers, etc. Aeration products are used by our customers who store and move cement, fly ash, flour, lime, feed, pigments, chemicals, many other types of dry bulk materials. Jamieson Equipment is the Complete Solution for our Concrete, Food, Quarry, Agriculture, Chemical, and many other processing industries customers! Click here to view our Aeration line.